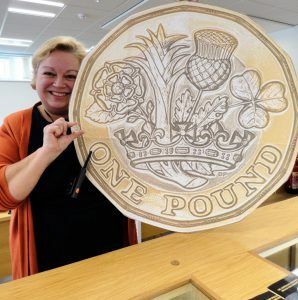 Home/Latest News/In for a penny – or old style 3d – in for £1! 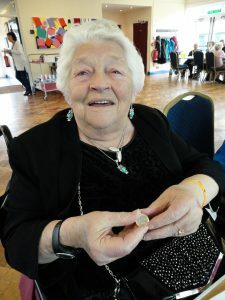 Birthday girl Joyce O’Callaghan got the chance to test the new £1 coins for user-friendliness at N-Vision, the Blackpool Fylde and Wyre Society for the Blind. 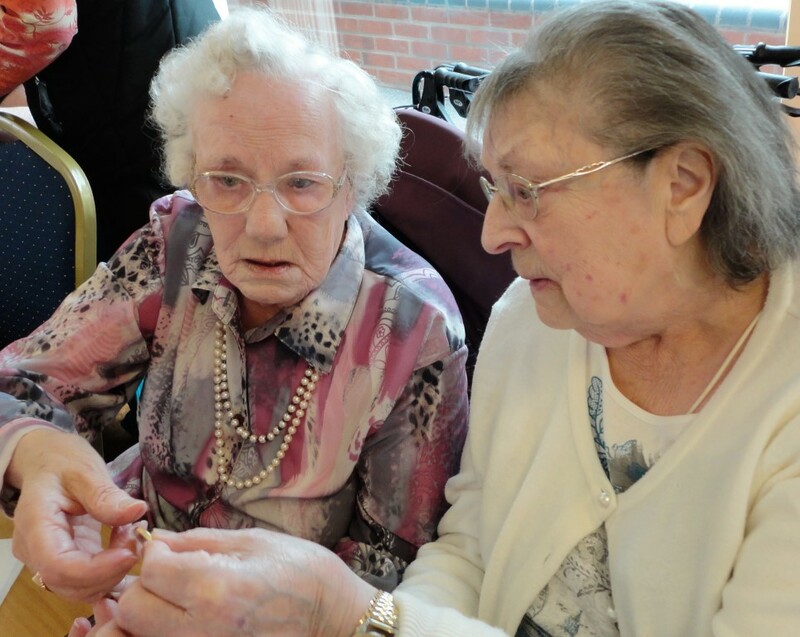 Joyce, a regular at the charity’s social centre at Bosworth Place, Squires Gate, where she celebrated her 77th birthday, is registered as severely sight impaired as a result of age related macular degeneration and diabetes causing retinopathy. Joyce admits: “I have diabetes and years ago my doctor warned me I was in danger of losing my sight but I didn’t listen to him – I was a chocoholic! I still like my treats but it’s everything in moderation now. 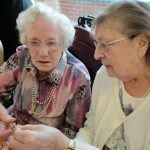 Joyce and friends Anne Walmsley, 85, and Margaret Field, 84, were delighted to put the new £1 coin to the test at the society’s social club. Thanks to Blackpool’s ‘Queen of Coins’ numismatist Elizabeth Beckford, marketing lead at Chard (1064) Ltd, UK Bullion Dealer of the Year, which is based at nearby Harrowside, they were also able to contrast the coin with the old pre-decimal threepenny (3d) bit, to which the new look £1 has been likened. 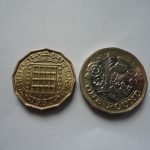 The rim of the new £1 coin has another plus for partially sighted or visually impaired users – as the edges are alternately ridged and smooth. 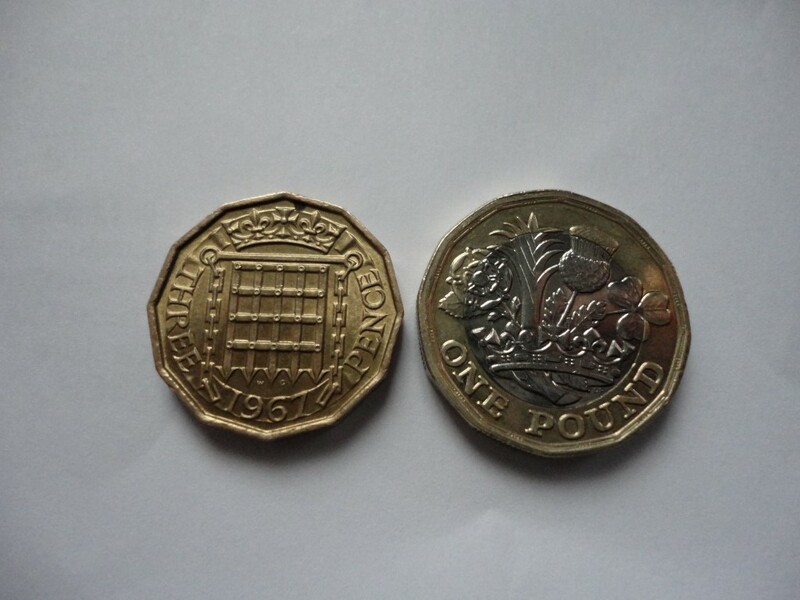 Smaller silver coins, such as 10p and 5p, have ridges to their rims, and copper coins, such as 2p and 1p, are smooth. “If you can’t see very well 50p and 20p coins are really handy because of their distinctive shape,” advised Joyce.